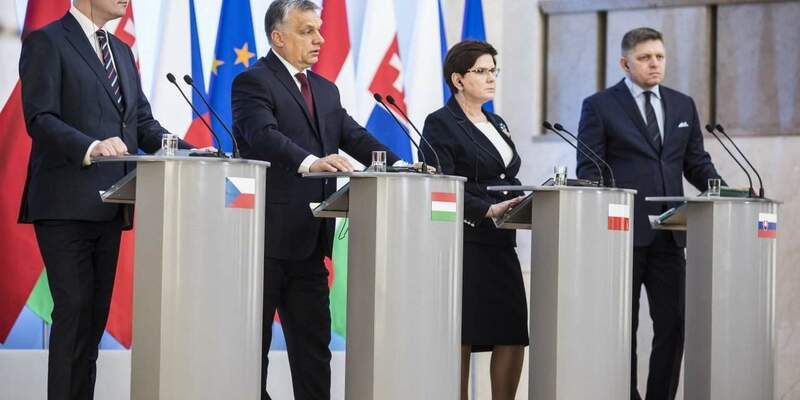 Warsaw, March 28 (MTI) – “We are getting closer to a sensible migration policy in Europe”, Prime Minister Viktor Orbán said after a Visegrad Four summit meeting in Warsaw on Tuesday, which focussed on a variety of issues, including last week’s EU summit in Rome, Brexit and migration. 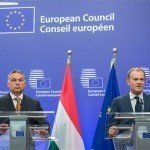 Hungary has closed all legal loopholes concerning migration and prepared itself for the possible failure of the migration deal between the EU and Turkey, Orbán told a press conference. “We are able to halt any wave of migration, no matter its size,” he said. 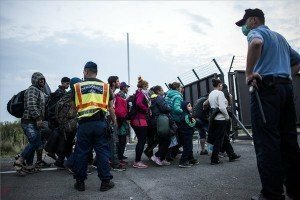 Hungary has also made the first steps to eliminate the “migrant business”, Orbán said. 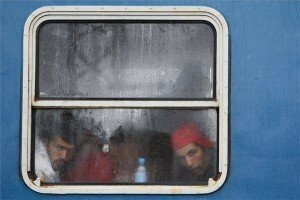 “A good few NGOs obviously consider the migrant issue a business matter. For this reason, we will take steps to make their operation fully transparent,” he said. 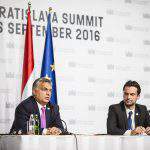 Orbán said views that link the issue of migration with the imbursement of EU monies are illegitimate. “Let’s not allow them to intimidate us,” he added. Asked about Hungary’s recently-amended asylum rules that entered into effect on Tuesday, Orbán said the new laws served to protect EU citizens. He said Austrians and Germans could “sleep sound” because Hungary fulfils its Schengen obligations. He said Europe would have to get used to such laws generating disputes within the bloc, adding that they had also generated “absurd rulings” by the European Court of Human Rights, referring to a recent ruling by the Strasbourg court ordering Hungary to compensate two Bangladeshi asylum-seekers for wrongly detaining and deporting them. 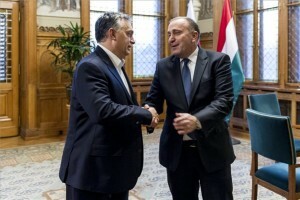 Orbán said such legal proceedings were connected to the “migrant business” of certain NGOs, which he said would have to be investigated. Regarding last week’s EU summit in Rome, Orbán said the V4 had demonstrated that they shared a serious joint position on the future of Europe. The prime minister said the four countries’ economic indices proved that they are no longer “takers” within the EU, but rather the most rapidly growing region of Europe. 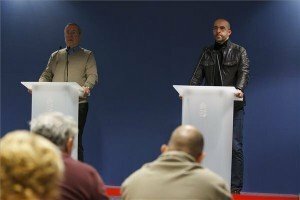 He said the declaration signed in Rome was not the end of the debate on the bloc’s future, but rather the entry point into its next phase that will be about ironing out the details. He said Europe now had a general declaration on its future, while the EC is preparing to put forward five packages of proposed legislation. He urged his V4 colleagues to react swiftly to each package. On the subject of Brexit, Orbán repeated the Hungarian government’s position that the rights of Hungarian citizens working in the UK must be protected and that the EU and Britain should strike a fair exit deal.